Heat oven to 350°F. Line cookie sheet with foil. Spray lightly with cooking spray. Unroll dough. Using 4-inch round cutter, cut 10 circles from dough. (Note: You will have to gather and roll out dough scraps to get 10 from the dough). Place on cookie sheet. Bake 8 to 10 minutes or until golden. Cool. Using serrated knife, cut open each circle (like a bun). Spread with peanut butter and jelly. Sandwich together and enjoy. 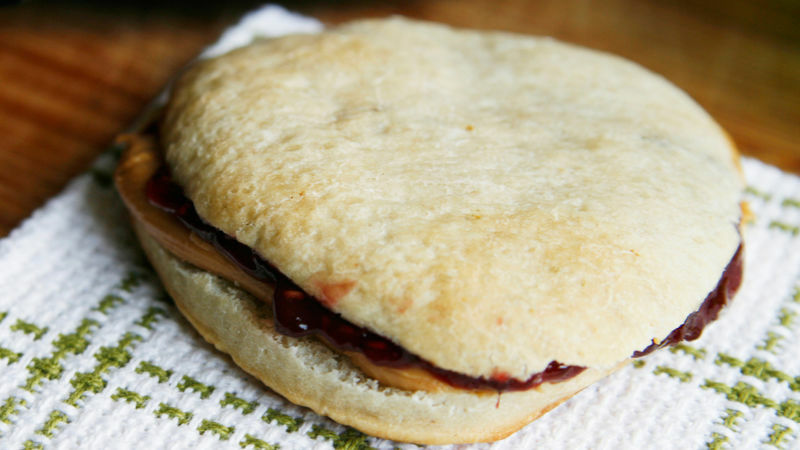 Not a PB&J fan? These can be made with peanut butter and hazelnut spread with cocoa or peanut butter and marshmallow creme, or any other kid-friendly combo yours love.